Odds are that the Yankees are destined for the wild card game this year. Boston is currently five games ahead of the Bombers, giving the Red Sox a two in three chance of holding on for the division title. With the acquisition of Zach Britton yesterday, it’s evident that the Yankees are preparing for the likelihood of a one-game, must-win scenario. The team’s bullpen was already a strength, and with Britton included, it’s even better. Sure, the team badly needs another starting pitcher, but that won’t matter unless the wild card game ends with a win (and that’s not to say that the front office should forget about getting a starter). Start Luis Severino, but pull him after two innings or thirty pitches, whichever comes first. This would act as his “throw day” between his usual full-bore starts and allow him to pitch game one of the division series, assuming the Yankees triumph. After Sevy, some combination of Chad Green, Zach Britton, David Robertson, Dellin Betances, and Aroldis Chapman should be able to handle the final seven frames. Bullpen game. Basically, you’d subtract Luis Severino from option one and open the game with Green. From there, you go to the same bullpen guys while also being able to sprinkle in Tommy Kahnle or Jonathan Holder as necessary. It’s risky to not use the ace of the rotation, but it ensures that he’s fresh for the next round. Last year, the Yankees won the wild card game essentially using option one, though that was not the intention. Severino struggled and forced Joe Girardi’s hand. However, Severino did not wind up pitching again until game four of the first round against Cleveland. In all likelihood, the reason the Yankees didn’t utilize that as a throw day was because it wasn’t the plan all along. That game was part of Severino’s usual routine, and putting him back out there on just one day of rest in game one would have been dangerous. I’m sure his performance didn’t help, either. Scheduled as a throw day, bringing Severino back for the start of the division series doesn’t seem quite as outlandish. Would it be unusual? Absolutely. It’s not like a starter hasn’t been used on his throw day in the postseason before, though. Obviously, it’s important to protect the 24-year-old’s arm for the long-term, but the strings should be loosened with a championship in reach. If the front office and coaching staff think it’s too much to ask of Severino, then option number two should be in play. It’s not all that much different, though a lesser reliever like Kahnle or Holder may be necessary for a handful of outs. Not using Severino, the team’s ace, for the most important game of the year opens up the club to plenty of criticism, but it’s not like the relief corps are incapable of dominance. It’s difficult to imagine the Yankees not using Severino whatsoever in a do-or-die game. That makes the first choice a little more plausible in my mind, plus it lessens the burden on the bullpen. That said, who knows how effective Severino would be on a limited pitch count or throw day. Typical throw days certainly don’t match the intensity of a live game, so it’s fair to wonder if Severino might not be as good. 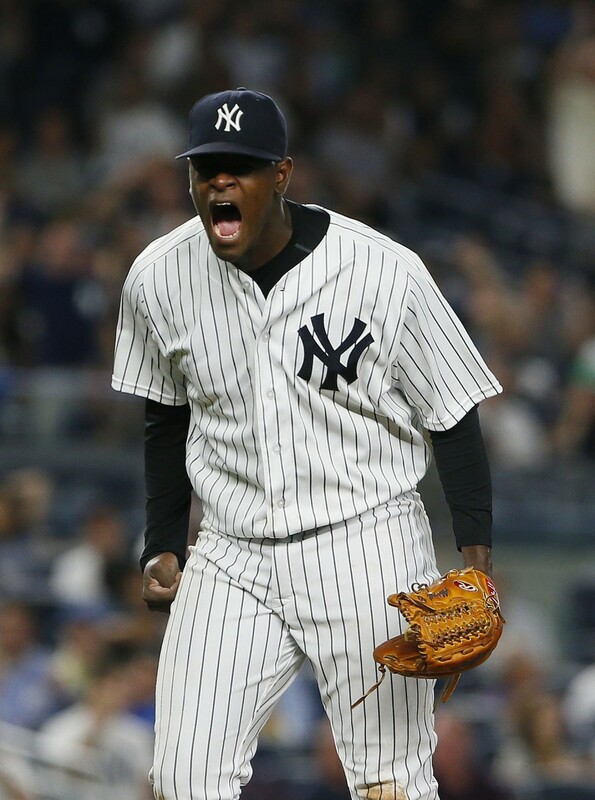 Then again, letting Severino air it out for two innings could result in a dominant performance. If the Yankees went with one of my two proposals and things went awry, the team would take a lot of heat, and that’s precisely why we’ll probably see Severino make a traditional start in the wild card game. I get it, but I think that game is an opportunity for a team to go a little off the beaten path considering any individual baseball game is already a crapshoot. Either of the scenarios I’ve noted theoretically better position the Yankees in a best-of-five because Severino would start games one and five. Of course, winning the wild card must come first. To do that, I’d be open to something unconventional if it gave the Yankees better odds in the next round.